If you have a cat there’s a good chance this is a familiar site. Is this the end of turning on the basin tap? I know you’re shaking your head, you know what I’m talking about! You walk into the bathroom only to be greeted by a cat that’s waiting for the basin tap to be turned on. It doesn’t matter that you have three bowls filled with fresh water spread over various rooms in the house! Your cat is most certainly not waiting to have the tap turned on so they can wash their paws! It’s because your cat insists on drinking their water fresh from a running tap! Imagine; no more “meows” in our faces in the middle of the night, no more paws pulling back our warm blankets early in the morning! PetSafe Canada supplied me with a Drinkwell® Ceramic Avalon Pet Fountain for my cat to put to the test. I only share information on products that I would personally use or have my pets use. My first impression of the Ceramic Avalon pet fountain that I received from PetSafe Canada was the weight of the ceramic fountain – no cat or dog in this house would be tipping this fountain over! The Avalon pet fountain comes in a choice of red or white. Since my cat has no colour preference, I choose the red and am thrilled with it. 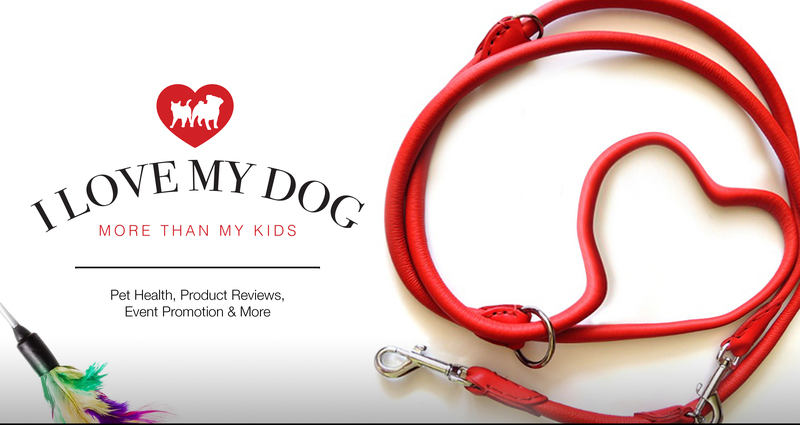 I truly believe that pet products can be functional and visually appealing. The Avalon pet fountain required assembly of the bowl, tower, pump, and (replaceable) filter and took me just a few minutes to get the water flowing. I had to choose a location that had access to an electrical outlet as the fountain does not run on batteries (my only disappointment). My cat Lloyd was quite intrigued once the water began to flow and he decided to test the waters. It only took a brief moment before Lloyd began drinking from the tower of the Drinkwell Ceramic Avalon pet fountain. The Ceramic Avalon Fountain holds 2 litres of water that continuously recirculates and filters your cat’s drinking water, keeping it cleaner and fresher than a standing bowl of water. The ceramic design of the pet fountain makes it easy to clean, is dishwasher safe (excluding pump) and the multiple drinking levels give your pet the option to drink at a level that’s comfortable to them. I believe the continuous stream of water encourages my cats to drink water more often, and we all know that water is an essential for good health. Does your cat drink from the tap, or maybe they’re a “dip a paw in the glass” kind of drinker? We love the Drinkwell fountains from PetSafe. My cat seems to dislike moving water in general, but I wonder if he would like this. I think my dogs would like it a lot. I have two cats and they couldn’t be more different. One likes her water from the basin tap, the other will pull the water bowl so the water “moves” before her drinks it. When I set up the Drinkwell fountain, Lloyd went right for it,whereas my other cat watched from afar not entirely sure what it was all about. I wish they had a rechargeable battery option! because … we don’t have a lot of plugs! My only disappointment was I didn’t have the option to run the fountain on batteries. One of my cats prefers to drink in private where there is no outlet to plug in the fountain. I’m hoping that in time, she will become as comfortable with the Drinkwell fountain as my cat Lloyd. Marty has the PetSafe Pagoda fountain. He took to it right away and drinks from it often throughout the day. Although I don’t have a cat, my dog loves the PetSafe fountains. We have even gifted them and gave one away in a contest. They are a fabulous present and I love that cats and dogs are encouraged to drink because of the running, clean, fresh water. The Drinkwell fountain is perfect for both cats and dogs! And I agree that pets are encouraged to drink more when there is fresh running water available to them. Mr. N is good about drinking from his bowl. He’s very sad when we forget to fill it. Oh poor Mr. N! I could just imagine his little face when he realizes there’s no water in his bowl. The nice thing about a Drinkwell fountain is it holds 2 litres of water so dogs and cats have plenty of water on hand/paw, when needed. My cat Moo Shu is definitely a dip your paw into a glass of water kitty. We tried a fountain a few years ago and our cat and dog were both afraid of it. We should probably try it again. My cat Lloyd used to pull the water dishes, making the water move before taking a drink. I think he likes the movement of the water and that’s why he enjoys drinking from the Drinkwell fountain. I can see how some cats might be nervous of the splashing water. I do not have a cat at the moment but I think Kilo the Pug would love this. He hates drinking water that has been sitting in his bowl for even a few hours. He bangs his water bowl and demands that I change it before breakfast and after lunch and dinner. This could be a great solution and it is attractive. This would be perfect for Kilo! The Drinkwell fountain is no only for the cats in the house. Edie likes the movement of the water as well and with the water running through a filter, it’s sure to keep the water fresh throughout the day for Kilo. We have heard a lot of good things about the DrinkWell fountain! We particularly like that it is free from plastic – super important. Will share! Thank you for sharing! We are very happy that the DrinkWell fountain is ceramic as well. Back when I had cats they loved fountains. I went through several of them. My cats are really enjoying the fountain as well! That’s a very nice looking cat drinking fountain. I love the color too. I really believe that pet products can be visually appealing and this Drinkwell fountain does not disappoint. My cat and dogs share the same water bowl. I love that this keeps the water fresh and would love to get one for the basement. We’re not downstairs as much and though I constantly top up the bowl in the kitchen I forget about the bowl downstairs. Edie and the cats share the same water dishes as well, and it’s nice to have a dish that holds plenty of water for all of them to enjoy. This looks totally gorgeous. I would Love this one, and I think the cats would too. I love the Drinkwell fountains, they are beautiful, I just wish we got more than the noring plastic ones or ones that cost hundreds of dollars here in NZ!! That sounds like a nice water fountain for cats! This fountain is great for cats and dogs!